Dawkins and Ford used a double team DDT for the victory. A roundhouse kick ended this pretty quickly. Black's entrance was a great visual. Miley destroyed his partner and stormed off after the match. Nikki Cross tried to distract Riot but it didn't work. Almas got the pin after a keylock DDT. There was a huge reaction for McIntyre, who has new music. He won a good, hot match with a Claymore kick. - Shinsuke Nakamura cut an in-ring promo thanking us. The entire locker room went to the stage to send him off. 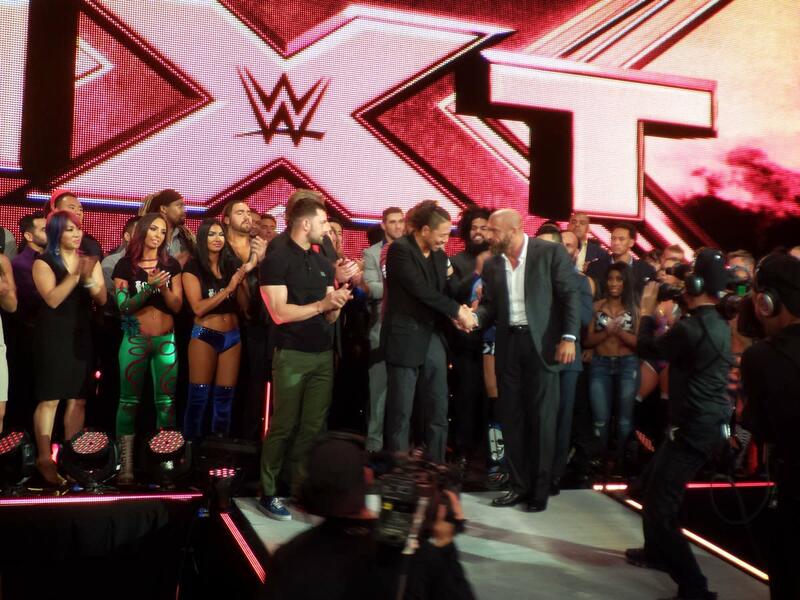 Finn Balor and Triple H also joined him in the center for photo ops. Nakamura ran around ringside recording a video with the fans. The champs won with their double team lariat on Ohno. The crowd had a lot of fun with Rama. He won after hitting a belly-to-back suplex. - Bobby Roode came out to the ring for a promo about sending Nakamura packing. Hideo Itami interrupted and laid out Roode with a GTS. They did excellent chain wrestling and counters early on. It was a good, long match with a lot of grappling. 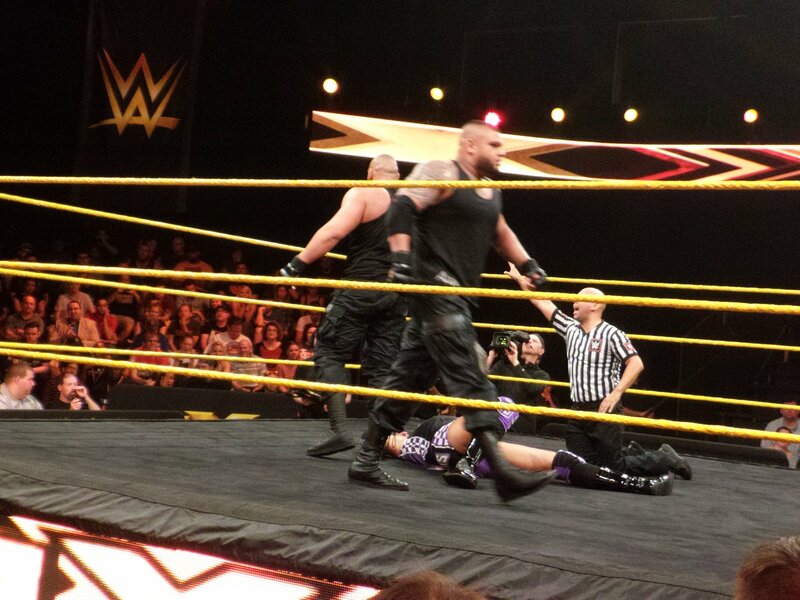 Bate retained after hitting the Tyler Driver. Aliyah caught a roll through pin to win. - Nikki Cross called out Ruby Riot and they had a brawl in front of the ring as security failed to separate them for some time. This was a hard-hitting match with unbelievable chops and slaps. 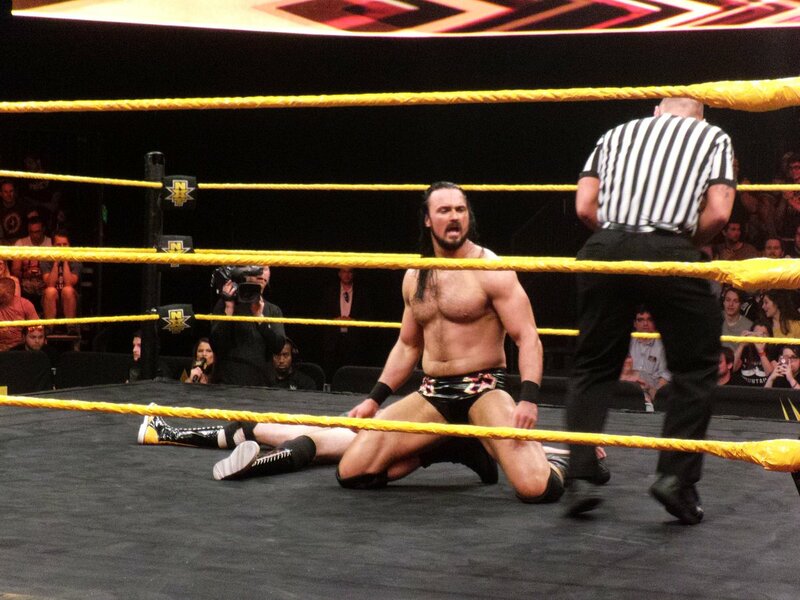 McIntyre used a Claymore kick to win it. Black again used a roundhouse kick to the head. - Ruby Riot was making her way to the ring when she was attacked by Nikki Cross. They brawled all over the stage and ramp until security carried Cross away. 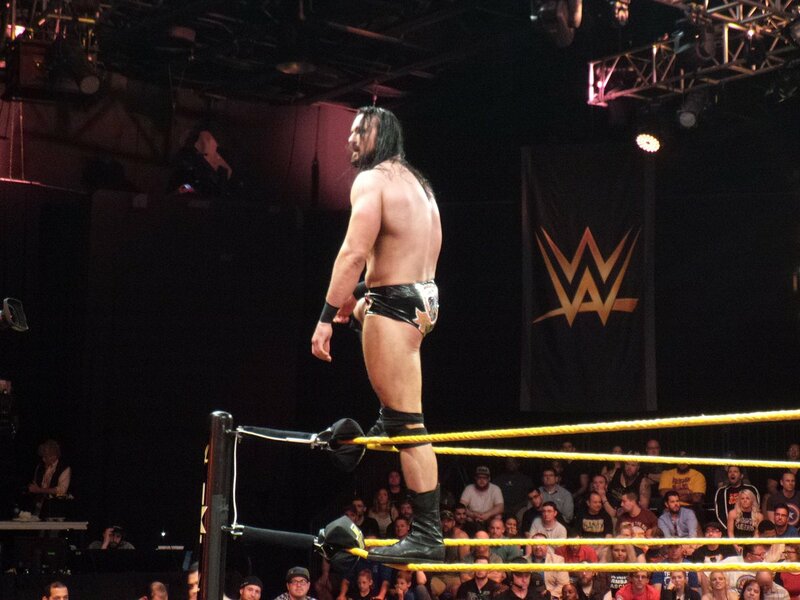 The crowd was hot for Dillinger throughout. This was a battle where they got thrown into the cage at every turn. Young hit an unbelievable elbow from the top of the cage. Dillinger hit a crossbody off the top and escaped the cage to win. Dillinger locked the cage behind him to keep SAnitY locked in as he celebrated with Ohno and Strong, who had tried to run off SAnitY themselves. After the match, Dillinger talked about how much he loved us. 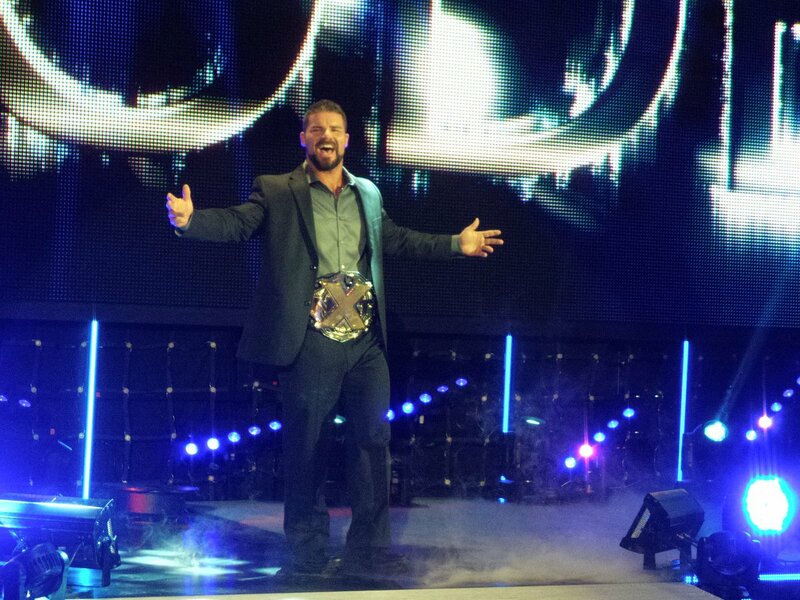 He said that he's officially on SmackDown and we got him there. This was great stuff.